Chardonnay at the airport. 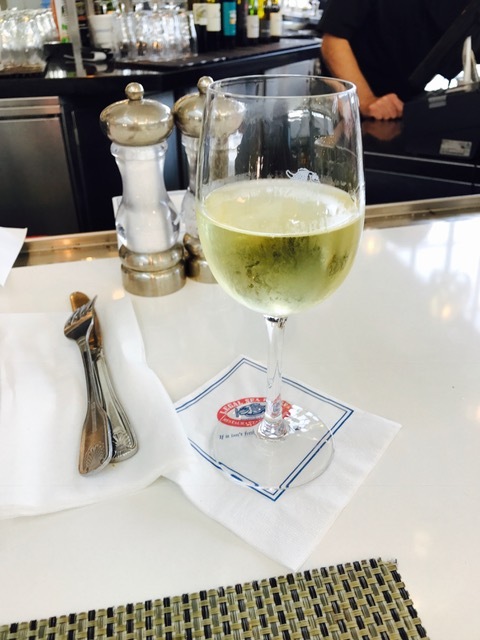 There is nothing like sitting down to a glass of wine, alone, at the airport! 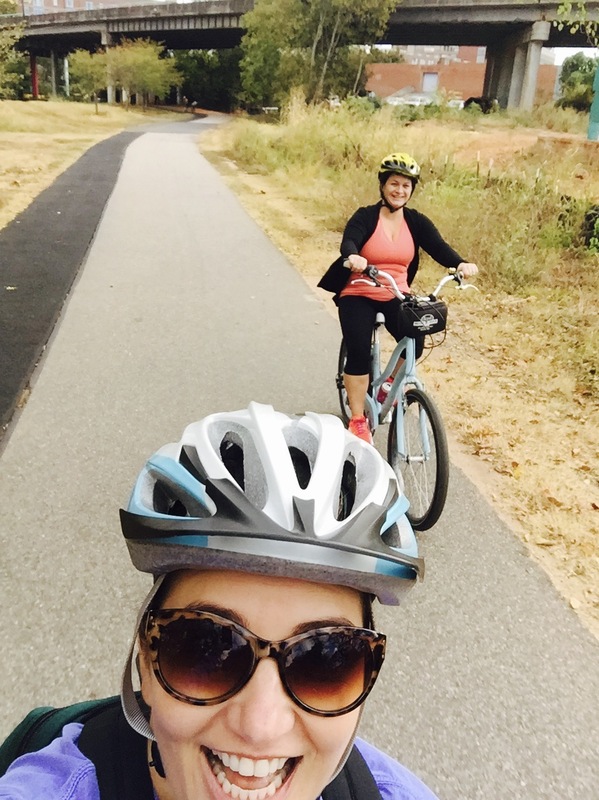 Emily and I took a 20 mile bike ride along the Swamp Rabbit Trail in Greenville County. It was a perfect Fall day and so nice to get outside and sweat a little. 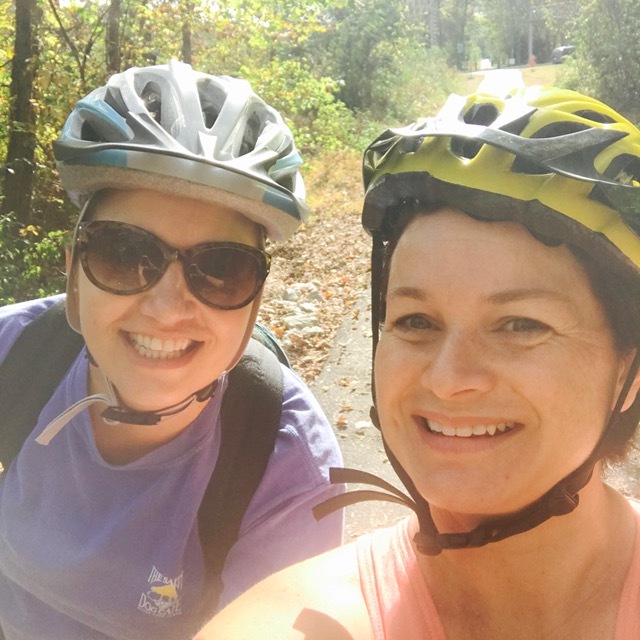 The trail took us by Furman University. 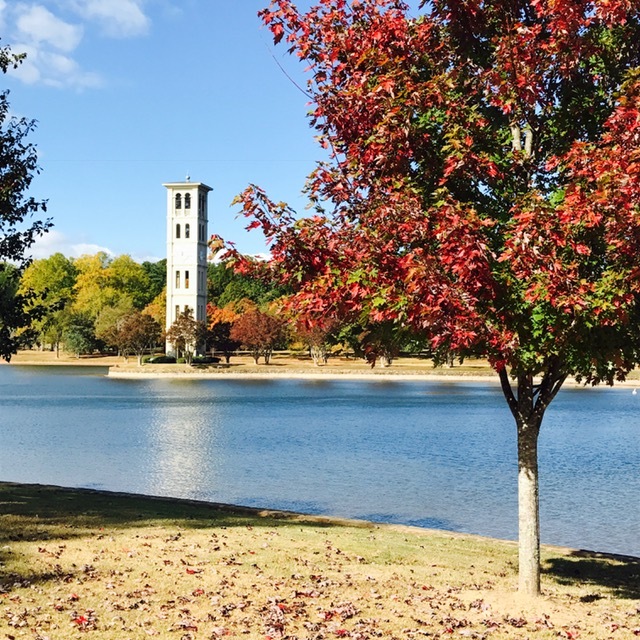 This the Belltower-isn’t it beautiful? 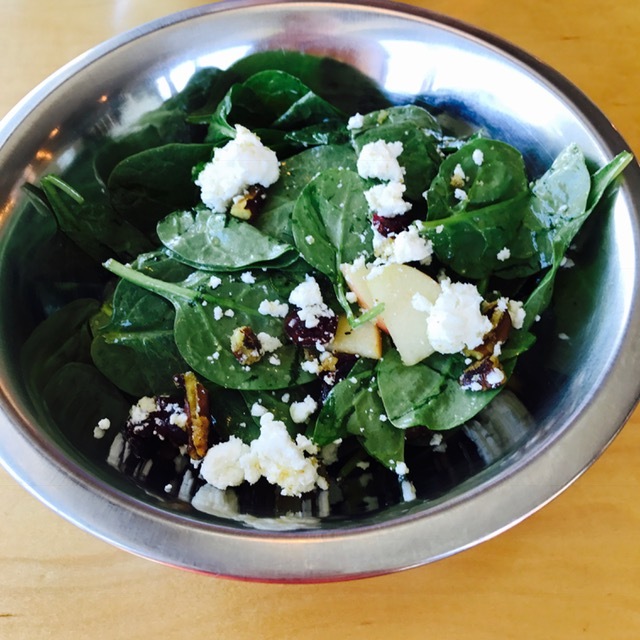 Spinach salads with goat cheese, cranberries, and apples. I forgot to take a picture of the pizza, breadsticks, and beer-whoops? 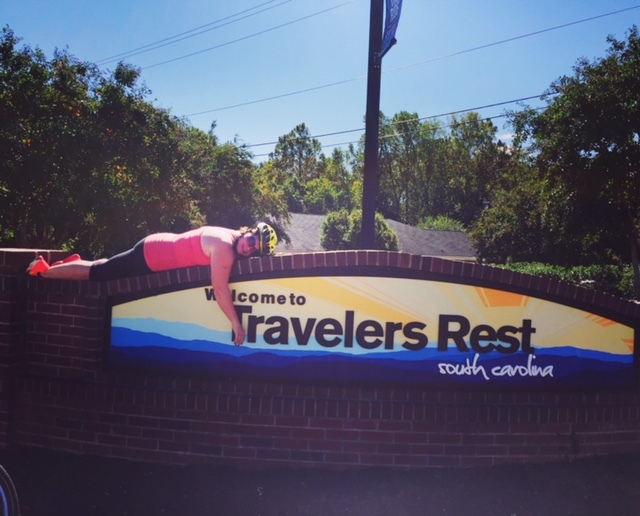 Taking a rest in Travelers Rest-it’s only fair. 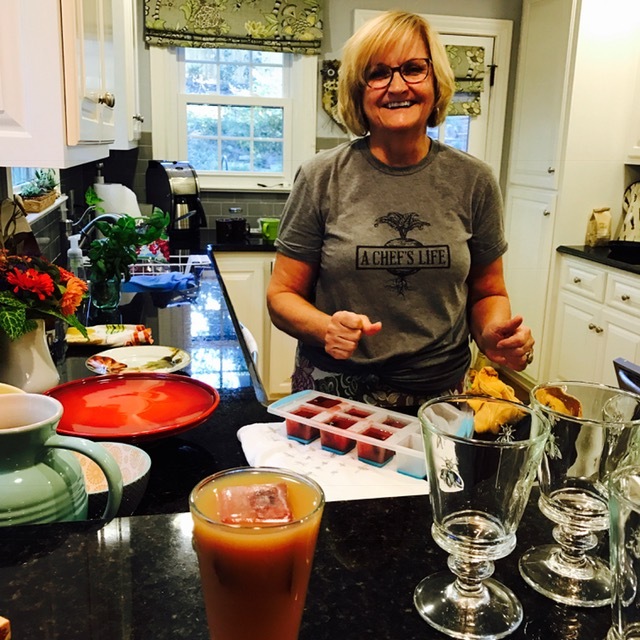 We were invited to a beautiful brunch at Emily’s mom’s house…here is Ms. Pam sporting a shirt from my favorite show, A Chef’s Life! She made cranberry juice ice cubes with berries inside…such a hit! Her cheese grits, cinnamon apple french toast, biscuits, and bacon weren’t so terrible either. Thank you so much!! Ms. Pam’s beautiful table. 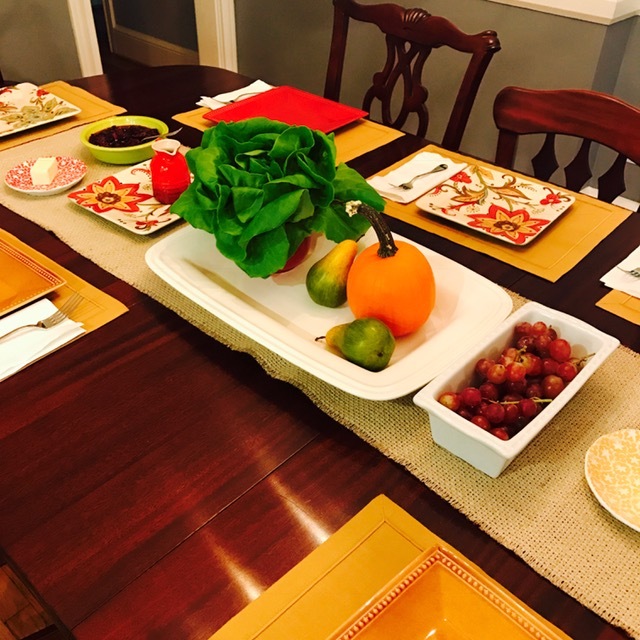 Who knew Bibb lettuce would look so gorgeous as a centerpiece? LOVE it. 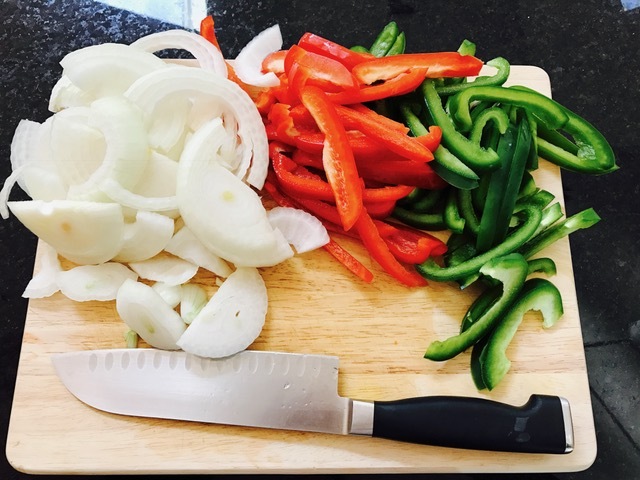 Slice the peppers and onions and place in the slow cooker. 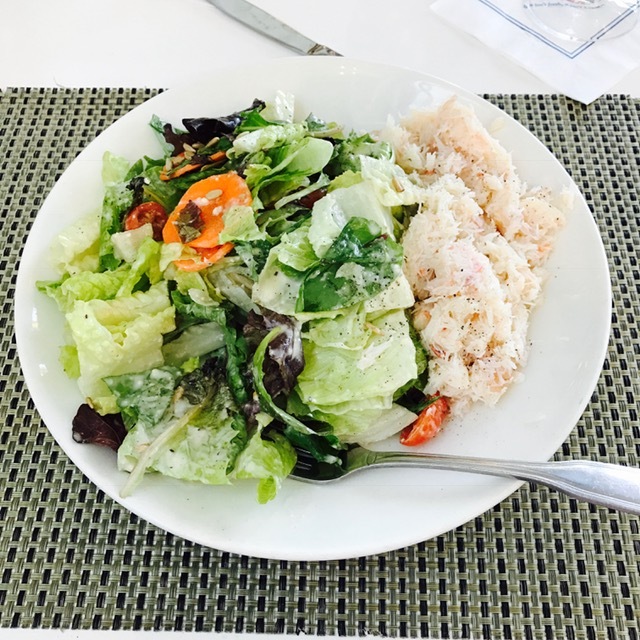 Sprinkle salt and pepper over the vegetables. 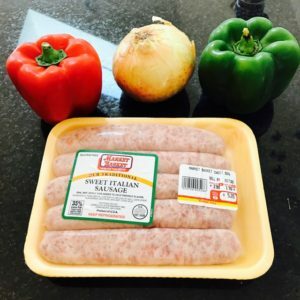 While you chop the veggies, sear the sausages in a skillet over medium heat. 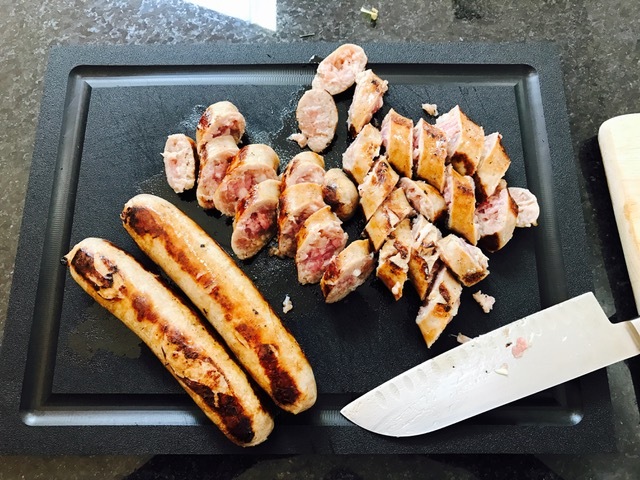 After the sausage has been browned on all sides, remove and slice into chunks. 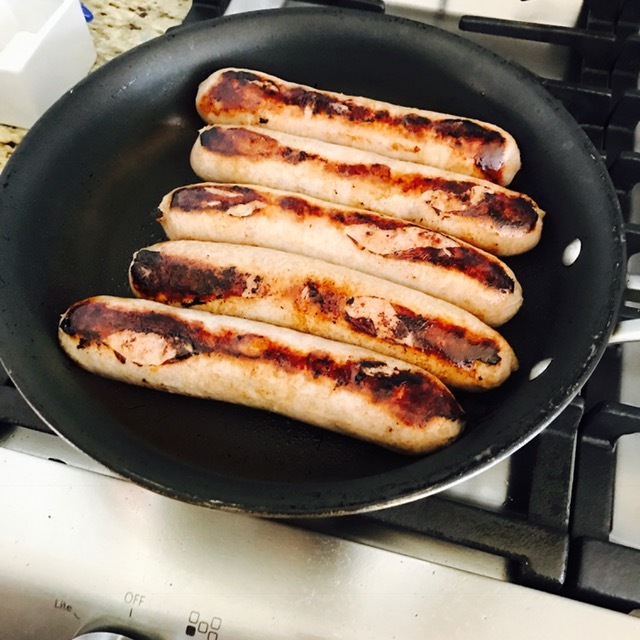 The sausage will not be cooked through entirely, this is okay. 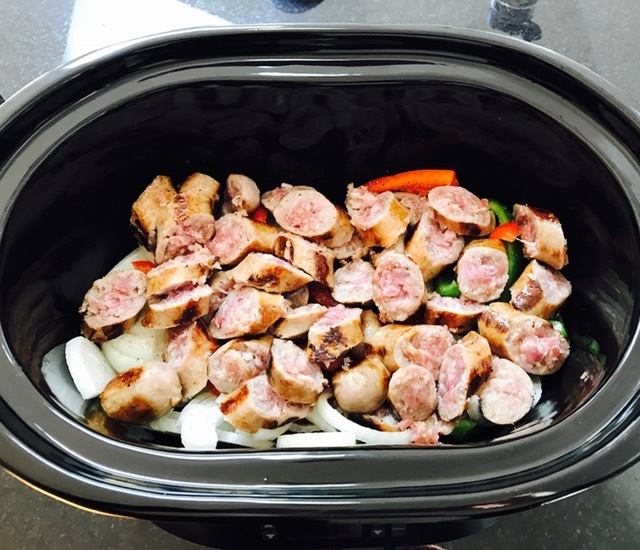 Add the sausage to the slow cooker, cover, and cook on high for 4 hours or low for 6 hours. This can be eaten alone, stirred in marinara over pasta, or on a bulkie roll. 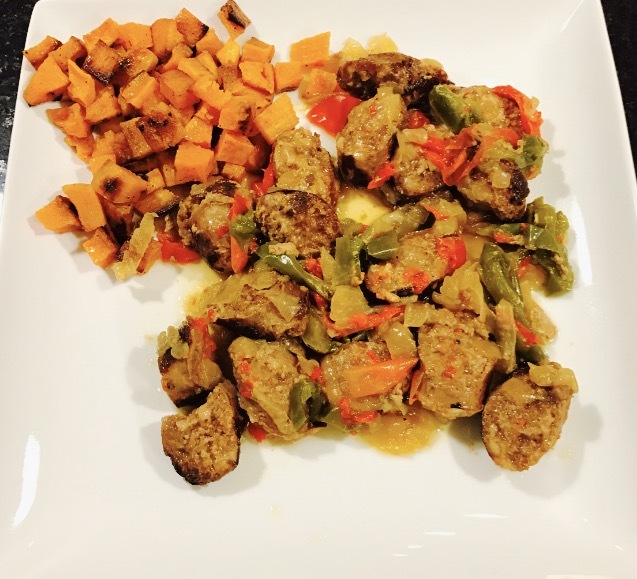 You could also add it to homefries and serve with eggs for a filling breakfast. 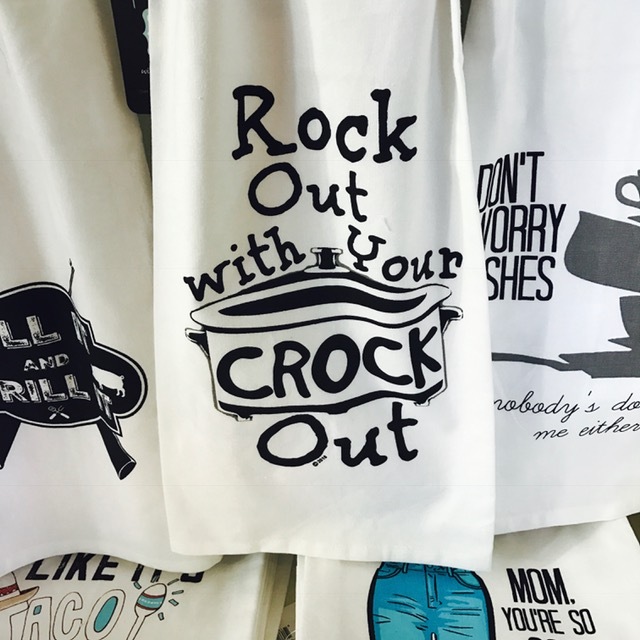 However you make it, enjoy!